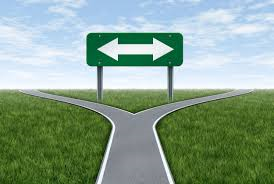 Are you at a crossroads in your life?? I challenge you to take the road less traveled. You will find that on the road less traveled you will be grow more than ever before and you will become the person that you were intended to be. The crossroads many times is a symbol of change in our lives. Some of us, see it and ignore it and some of us make the necessary changes required. If you find yourself in a crossroads that this opportunity to identify what is going on in your life and develop a plan of action. Personally the crossroads have changed my life and made me a better person. I am hoping your CROSSROADS will bring you great happiness.